On Wednesday I shared a moodboard with a gorgeous palm leaf rug (click HERE if you missed it) and while I was searching for pillows I found some very pretty mix and match options that I just have to share with you. 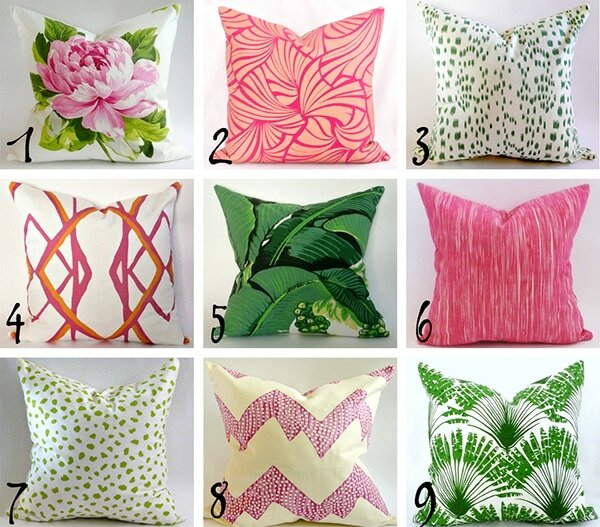 This pillow Etsy shop I just found makes amazing handmade pillows from designer fabrics. 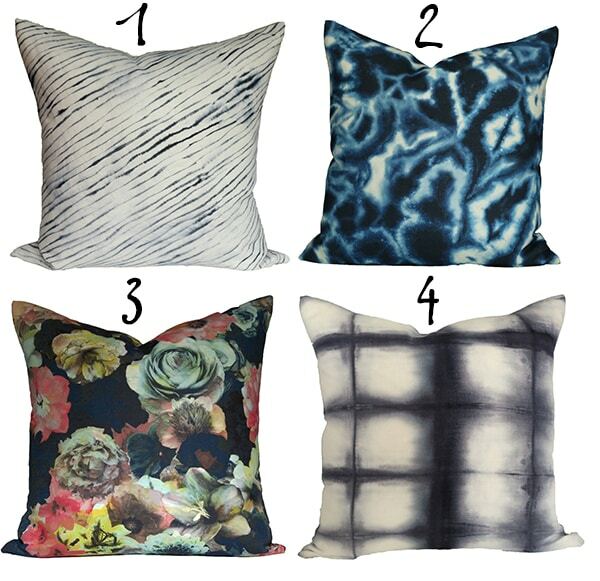 This selection of pillows can all be mixed and matched. I’d love them all in my living room. The green dotted number 3 was the pillow I used in the moodboard. But I also used blue pillows in a moodboard for a different look from my favorite Etsy shop StuckonHue. Geez, how have I not known about your favorite Etsy shop! I love those blue pillows. Love all that pink and green! I usually make all my own pillows but the patterns on these are still inspiring.